Coming soon to Thailand? 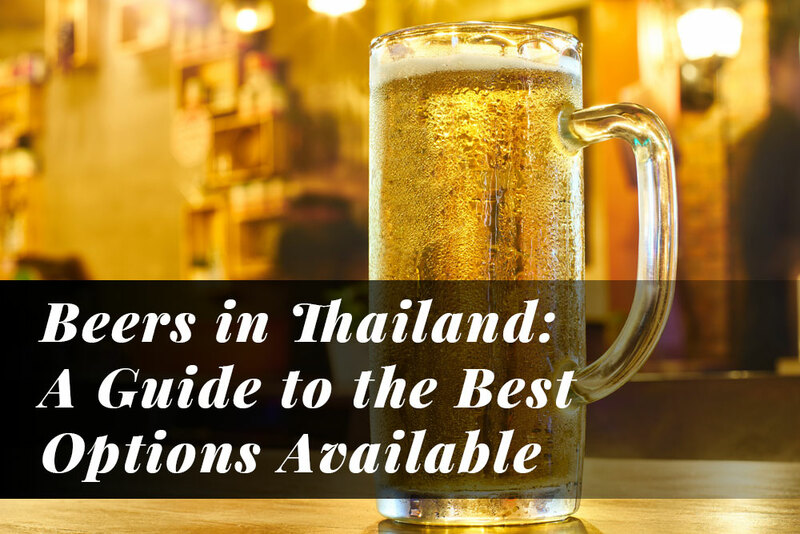 There are some things you need to know beforehand, and today we are going to show you what are the best Thai beers! Additionally, do not forget to visit us when you come to Bangkok, because here you will find many of the finest beers Thailand has to offer. It is like asking: what is the best color? The choice will vary from person to person, and the same applies to the beers you will find in Thailand. 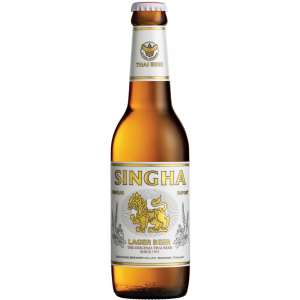 Fortunately, the quality of Thai beers is excellent, so much that some brands like Singha are very popular outside Thailand, and the reason is simple: it tastes very well and can compete with other European or American brands. To continue the previous mention of this beer, here you have an entire section dedicated to it. It is extremely popular in Thailand, and as mentioned before, so is in other countries including principally the UK. How so? Mainly due to their partnerships with Chelsea Football Club and Manchester United. Quick fact: Did you know that Thai people love English football? They surely enjoy watching English league matches while drinking a cold and refreshing Singha! Now, let’s review the beer properly so you can know what to expect from it. First, the color is just perfect for a lager. Its clear pale golden color and creamy head fit the description perfectly. Props for that. The smell is very lager-like as well, in other words, it is exactly what you would expect from a beer of this kind. This is important, because it means it is brewed with high quality ingredients, something that makes Singha an excellent choice. What stands out from this beer is that it is very refreshing, that is why so many have fallen in love with it. Its flavor includes bitterness and a nice sour aftertaste in the right proportions. It is brewed with three hops: Saaz, Perle and Hallertau. A good combination that brings this beer its unique flavor that is easy to drink, on top of its aqueous texture. Overall, it is a very clean bear with a soft and refreshing flavor that will make any hot day in Thailand (or abroad) more endurable and enjoyable! Quick tip: it is an excellent beer to drink while eating spicy food (especially Thai). Thanks to its refreshing nature and soft flavor, it is the perfect companion. It will leave you an excellent aftertaste; do not miss the chance to try it! If you are on a very low budget, and yet want to drink a refreshing beer, then Chang is your best choice! Quick tip: You will enjoy your Chang if it is very cold. The colder, the better. That is the rule for this beer. In all honesty, it is not very different from your standard cheap pilsner. It will not win any award, but its principal attractiveness is its extremely cheap price, which is excellent for backpackers and those travelers on a tight budget. However, we will review it so you can know what to expect from it. It is a common lager in all senses: the color, smell and taste. It does not have a flavor that makes it stands up, but we have to reckon that it is very refreshing, which is excellent for the hot and humid weather of Thailand, especially if you want to save money. It pairs very well with spicy food, just like the Singha beer, but the flavor is not as complex. It is certainly a bit sweet and taste is well rounded, yet it does not make it stand out significantly. It is watery as well, something that adds up to its refreshing nature. Again, this will be a turn-off for people looking for a well-bodied and flavorful beer, but if you are just looking for a good bang for your buck, then it is perfect. If you are looking for an explosion of flavors and incredible taste, then this beer is for you. You may want to stay away from Chang if you are very picky with your beer, because as you have read, it is not very special besides being insanely cheap. For you, beer lover looking for an outstanding Thai beer, this choice will suffice all of your demands. Just like Singha – although not as popular – it has managed to take down the frontiers and is available in different countries and people love it, let’s find out why! Its clean golden color and white head – along with its aroma – make it a good lager in all senses. When you will drink it, you will experience what most island lagers offer: fruity hints. If you are a fan of that, then you will love this beer, especially when it comes accompanied by grass and lime hints as well. Quick fact: It has a taste hint of Jasmine rice that you can notice in both the taste and aroma. It is also sweet and with some light spicy notes. Moreover, it has a slightly watery texture (not like Chang though) that makes it very easy to drink. If you are looking for something with a more complex flavor that you can examine and enjoy, then this beer is a better choice. Many people in Thailand and abroad have become fans of it, and who knows, you may become a Phuket Lager Beer lover as well! It is a nice watery lager beer. There is not a lot to say about it, because it goes straight to the point: it will kill your thirst and get you cool during a hot day, and for a very low price. Even though its flavor is not outstanding, it still has some acidity and fruity hints that make it more enjoyable. Order it as cold as possible, so you can enjoy it better. If Leo were Pikachu, then Leo Super would be Raichu. It is brewed by the same company as Singha (Boon Rawd Brewery). However, let’s look what it has to offer in terms of flavor. A high quality lager beer. It has a higher ABV at 6.5%, so consider this when drinking it. Its flavor is more sophisticated, and therefore, not as watery as other options like Chang. It is not as refreshing, but it is not its main purpose, because again, its main attractiveness is its strong and characterful flavor. Quick tip: Drink it cold that is how you will enjoy it the best! Its aroma resembles nuts, hops and malt mainly. It certainly differs from any budget friendly pilsner by far. You can smell it and actually enjoy the combination of ingredients. Overall, it is a pretty good beer that you must taste once you are in Thailand! This beer won the Beer World Cup in 2004. That alone tells you about the excellent quality of the product. Even though it is brewed in Singapore, it is very popular in Thailand and that is why you need to try it, because locals love it! It has a clear yellow body and a big and thick white head. Certainly different to your typical Singha that has a very small head. The aroma is excellent: hints of biscuit, sweet cereal grain and a grassy hop kick. It is much better than your usual cheap beer. The flavor is excellent too, very refreshing, and it is superior than most pale lagers even outside Thailand. It is clean, refreshing and with a nice aroma. You definitively have to try it, especially when it is very cold! Again, if you are looking for a nice and affordable beer that will get the job done, then Archa is another good option, but this time it is in a can. Honestly, it does not bring much to the table. It is rather average, but we put it here in case you are looking for something extremely cheap, because it is exactly what it offers. It is refreshing, something that makes it a nice pick if you do not have much money and want to fight back the hot weather of Thailand. Keep into account that its flavor is rather strong, more than Chang and any other lager. It is not brewed in Thailand but in the neighbor country of Laos. Although, it is extremely popular here thanks to its exquisite flavor. Without anything more to add, let’s review it, because it deserves it. It is perfect for the hot and humid weather of Thailand. Its flavor perfectly clean. No trace of bitterness at all, and the aftertaste is extremely clean as well. This makes it very easy to drink, especially if it is very cold, because that is how you will enjoy it the best! Its flavor has sweet hints, probably due to using rice during the brew. Nothing bad with that, because it makes it special. Moreover, it is surprisingly cheap. It has a pale golden color and a thick white head. Unlike the Singha that has a white head that disappears quickly after pouring it, this will not happen with the Beerlao. It is worth noting that it has a nice aroma. It is a nice experience since opening it until drinking the last drop from your bottle or glass. You are going to love it. It is brewed in the United States, but it has managed to become very popular in Thailand, and thereby deserves its own review. It is different from most beers in this list, because it has a cloudy golden orange color. Therefore, if you are looking something different than your typical pale lager, then this one is for you. The aroma is not very noticeable, but the flavor is worth reviewing. Its yeasty flavors accompanied by hoppy notes. Nothing ground-breaking, but still quite good. The best way to enjoy this beer is when very cold. Do that and you will fully appreciate its rich flavor! We have had enough of lagers, now let’s review an ale beer. Without any doubts, this pick is one of the best Thailand has to offer. Let’s check what it has to offer. Did you know that “Chalawan” is an old Thai word that means alligator? Certainly, this beer has the nature of an alligator, because it bites strong with its characteristic mildly sour and fruit notes. It is low in alcohol at 4.7%, and thereby very easy to drink.  It is excellent for hot days and nights that you are more than likely to experience during your stay in Thailand. It is important to take note that this beer won gold in the World Beer Awards 2016. That alone tells you a lot about its rich and delicious flavor and excellent quality. It is a bit watery and its flavor makes it a good pick for Thai food, especially if you eat chicken curry. Try it while eating this delicious food and you will understand what we are talking about! All in all, this is one of the best beers you will find in Thailand. Without any doubts, you MUST try it! This is another very niche yet delicious beer that you must try when you come to Thailand. Let’s quickly get into the main review! As you can easily tell, it is a real bomb of citrus flavor. If you are a fan of that, then you will be delighted with this carefully brewed beer. The aroma is fantastic, because it resembles herbs and pineapple. Drinking it is a real pleasure, especially if it is very cold, because it allows you to fully enjoy its aroma and flavor. Keep into account that it has a 6.2% ABV. It is higher than your typical beer, but it makes the Pug Citra Bomb even better. Something that makes this beer special – besides its intense citrus flavor – is its perfect bitterness. It is not too mild nor too intense, so it makes it excellent. Its medium body makes it easy enough to drink, especially during hot days and nights. Without any doubts, if you are very demanding with your beer, then by all means you have to try it. Now you have a clear idea on the best beers you can find in Thailand. As you can see, there is plenty of variety where to choose from. 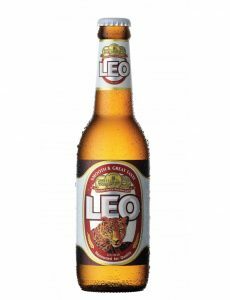 Some are better than others in terms of quality – think of Leo Super and Singha for example – but if you are on a low budget, then you can resort on the always refreshing and cheap Chang or Archa. Do you have any question? Only let us know and we will answer it!